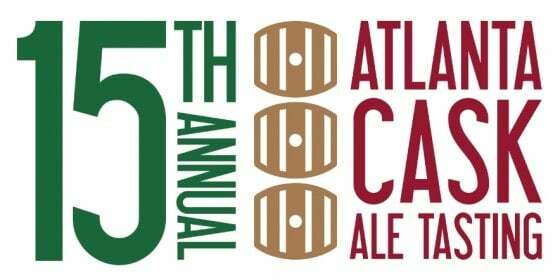 - Exciting Cask List Announced for Atlanta Cask Ale Tasting! Look below for the list of delicious, unique, one-off cask ales coming to our awesome Atlanta Cask Ale Tasting! These casks won't be available anywhere else, so get your tickets today! Akademia Noctua Chaos Erebus - This is our American Spirit Works whiskey barrel-aged imperial stout with Honduras and New Guinea coffee, vanilla beans, chocolate, and complex Palo Santo wood. 10% ABV. Alcovy Brewing Dubbel Take is an 8.2% Belgian-style dubbel brewed using traditional ingredients. This classic, complex beer is yeast forward with rich malt, chocolate, banana, and dried fruit notes. One sip won't be enough! Arches Brewing Brick & Maple puts an adventurous spin on our Brick & Mortar recipe. This specialty style is a classic British brown ale with caramel, nut, and biscuit notes accompanied by sweetness from a healthy addition of dark, organic Vermont maple syrup. 5.0% ABV, 20 IBUs. Atlanta Brewing Beer Dad Barleywine is a strong ale fermented with lager yeast. 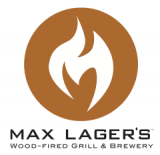 This popular collaboration with Max Lager's registers at 11.5% ABV and is packed with appealing malt character. Bearded Iris Breaking Atoms. This boldly structured double IPA showcases the power of elements in unison. Cashmere, El Dorado, and Citra hops are bonded to a malt bill of Golden Promise, wheat, and golden naked oats, alternately coalescing and splitting apart into notes of strawberry preserves, soft gummies, and shortbread. 8.2% ABV. Bold Monk Stained Rose is a barrel-fermented saison with Brettanomyces and macerated Nebbiolo grapes and Balaton cherries. The beer was blended with a one-year-old "lambic" style mixed fermentation golden ale. 6% ABV. Burnt Hickory I Did It All For The Cookie is an amazing bourbon barrel-aged stout enhanced by sweet, mouth-watering notes of Oreos. 10% ABV. Carolina Bauernhaus June Princess is our sour rye saison aged on June Princess nectarines and apricots in neutral oak barrels. We used dried apricots in place of priming sugar in the cask and added a dry-hop of Grungeist and Mandarina Bavaria for a bright stone fruit and citrusy hop character. Cherry Street Brewing Quit Stalin - A 10.5% ABV Russian imperial stout with organic coconut flakes, organic Columbian coffee, and Vietnamese cinnamon. Pleasantly spiced with hints of roast from the coffee and a smooth silkiness from shredded coconut. Cigar City Brewing Maduro is an award-winning, 5.5% ABV English-style dark ale with a full body and appealing mouthfeel from additions of flaked oats. Contrast Artisan Ales Luminiferous IPA comes from Chamblee's hot new craft brewery. Packed with Citra and El Dorado hops, this 6.8% ABV ale has a slightly hazy appearance and lively hop and malt finish. Get ready for the brightness. Creature Comforts English Mild - This 4.03% ABV cask is our interpretation of a traditional English dark mild. It's designed for full sessionability with light notes of toast, toffee, coffee, and chocolate. Dry County Mama Coco Imperial Stout offers loads of cacao and toasted marshmallows in the cask for a delicious play on hot chocolate. 10.5% ABV. Eagle Creek Doomsday Milk Stout is a smooth, 6.5% ABV, cask ale aged with cocoa nibs and strawberries. Look for notes of roasted malts and chocolate strawberries to shine through on the palate. 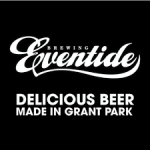 Eventide Grant Street Breakfast Stout is a 9% ABV, Russian imperial stout with Buteco Celebration coffee. Rich notes of dark chocolate and smoky caramel meld with the roasted character and fruit-forward aspects of Buteco's holiday coffee blend. Fyne Ales Avalanche is a quintessential, refreshing pale ale showcasing Cascade and Liberty hops. Clean citrus and grassy hop flavors meld with a balanced, bittersweet finish. 4.5% ABV. (UK - Scotland). Fyne Ales Hurricane Jack - A delicious blonde ale from Scotland with fruity hops, 4.5% ABV, and 40 IBUs. Amarillo and Cascade provide lovely tangerine/citrus hop flavors backed by Maris Otter pale malt. (UK - Scotland). Fyne Ales Maverick ranks as a classic British bitter hopped with Bramling Cross and Challenger. A 4.2% ABV, reddish copper ale with an aroma of mixed fruit and caramel malts. (UK - Scotland). Gate City Black Forest Birthday Cake Stout is a 7% ABV sweet stout layered with chocolate malts and a dose of lactose. Additions of Cholaca, vanilla beans, and sweet cherries make this beer rich with flavor and easy to eat, we mean drink. Good Word Governed By Love Imperial Stout. Experience delicious notes of lactose, toasted coconut, local coffee, cocoa nibs, and vanilla beans soaked in rye whiskey. 11% ABV. High Card Brewing Pirate Queen is a rum barrel-aged white stout with cocoa nibs, vanilla beans, coffee, habanero and lactose. It comes in at 8.4% ABV and 68 IBUs. Hi-Wire Bed of Nails Brown Ale is an American ode to a traditional English brown ale. This special cask contains almond tea with notes of apple, as well as whole cinnamon sticks. Light hop additions balance the malt sweetness, while the delicate body and dry finish allow flavors of toffee and dark fruit to shine through. Hopstix West of Java is a foreign extra stout brewed with freshly ground Sumatra Mandailing coffee. Expect deep notes of espresso, roasted barley and 7% ABV. Ironmonger Funky, Fruity Fresh Mind Palace is a mixed culture ale with mango, kiwi, Lactobacillis, and Brettanomyces. It's a funky, fruity, and slightly tart ale with a small dose of El Dorado hops in the boil. Jekyll Brewing Erin Go Braugh Irish Coffee Porter comes in at 5.7% ABV and 35 IBUs with flavors of chocolate and coffee accompanied by a smooth mouthfeel reminiscent of Irish cream liqueur. In remembrance of Erin Lundmark. Left Nut Engine 209 Russian Imperial Stout. This bourbon barrel-aged version is named after the steam engine locomotive located in Gainesville that was commissioned for Nicholas II, the last czar of Russia. Nicholas planned an American tour that was canceled due to the breakout of World War I. Expect notes of coffee, chocolate, roasted barley, dark bread crust, and vanilla. 75.4 IBUs, 10.5% ABV. Lincoln Fill Station/Cherry Street Continental Breakfast Stout is an 8.5% ABV Imperial oatmeal chocolate stout infused with Reese's Pieces and maple. Balanced roasty notes with hints of chocolate pancake in the finish. 8.5% ABV. Macon Beer Company Feliz Navi-Nog. This eggnog stout's black and chocolate malts contribute a rich, creamy mouthfeel, with cinnamon and nutmeg adding delightfully deep notes of spice. We aged this brew on whiskey-soaked wood chips for delicious, subtle hints of smoke, vanilla, and toasted nuts. Max Lager's St. Mungo BA 60 Shilling Scottish Ale is a Scottish-style ale barrel-aged in rye and bourbon barrels. Notes of spicy rye and vanilla play delicately with a sweet, rich caramel malt character. 6.5% ABV. MAZURT Dupree's Last Meal. Judge said "Fact, it's gonna cost you your life." Dupree, with the Jelly Roll Blues, had killed for a diamond ring. 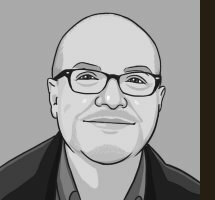 His last meal request: a decadent cinnamon roll with toasted marshmallow and a cup of strong coffee. MAZURT has recreated this in their imperial stout brewed with Vermont maple syrup, Madagascar vanilla, Kenyan coffee, and Georgia honey. This cask was guest-brewed at Southern Brewing Company with added cinnamon, toasted marshmallow, and even more coffee. Monday Night Pervasive Species is a mixed culture ale fermented with Lactobacillus, Brettanomyces, and a saison yeast strain. This American wild ale was the first to ferment in our French oak foeder. 4.5% ABV. Moon River Turkish Coffee Captain's Porter. Our rich, 7% ABV, robust Captain's Porter starts with plenty of coffee flavor thanks to chocolate and caramel specialty malts. With a steep of freshly ground honey-roasted coffee from Savannah Bee Company, as well as spicy cardamom seeds, this cask replicates the decadent flavors of Turkish coffee. New Realm 2018 Harvest Ale is an English strong ale inspired by the historical October Ales of late 1700s England. Brewed with 100% Maris Otter malt and East Kent Goldings hops, this brew undergoes a six-hour kettle boil to increase the gravity, during which the beer develops a deep, rich amber/ruby color and caramelized flavor. 10.8% ABV, 40 IBUs. Old Rail Pullman Porter with Toasted Coconut. Black and chocolate malts dominate but do not overwhelm this 5% ABV ale. The addition of coconut complements the chocolate and coffee character of the dark malts, while adding a pleasant, smooth, rich finish. Omaha Brewing Big Debbie Oatmeal Porter. The base-beer is an English-style brown porter that features toasted oats and brown and black malts. 6.0% ABV, 25 IBUs. Pontoon Snozzberries: Dragon Fruit Edition - A fruited Berliner-weisse with black currant, strawberries, blackberries, red dragon fruit, lactose, and vanilla. Tart, over-the-top fruit, with a deep purple color. 5.2% ABV. Red Hare The Czar Came Down to Georgia is our Putin's Paradise Russian imperial stout aged with Mexican chocolate, ancho, arbol, and guajillo chiles. At 11% ABV, this beer starts off with a false sense of semi-sweetness that turns to a warming, roasty blend of malt and chiles as it goes down your throat hole. Reformation Brewery Strawberry Vanilla Hazy Pale Ale is dry-hopped with Amarillo, providing floral, tropical, and citrus notes. This special cask also provides nuances of berries and vanilla beans. Scofflaw Neapolitan Milkshake Stout. The soft, velvety, chocolate, strawberry, and vanilla notes in this 5.5% ABV sweet stout will blow you away - without the pesky brain-freeze. Second Self O'Doyle's Irish Coffee is our 13% ABV Olde Oyl imperial stout with a custom coffee blend by Slow Wave Coffee. We topped off this special cask ale with even more coffee, lactose and Irish whiskey-soaked oak chips. With this beer in your glass, you won't need a thick cable knit sweater to keep you warm. Service Brewing High Speed Low Drag is brewed with PB2 peanut butter powder, cayenne, coriander, coffee, and lactose. 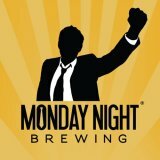 This stout pours dark brown and greets you with peanut butter and chocolate aromas leading to a thick and creamy mouthfeel that starts sweet and finishes with a slow burn from the coriander and peppers. 7.6% ABV, 21 IBUs. Southbound Brewing Dry Hopped Citrus Lager. Check out this cask of our Mountain Jam with extra Citra hops, key limes, lemons, and mandarin oranges. Southern Brewing Smoked Sea Salted Caramel Milk Porter. We're calling this cask a "no-caf, half-milk, double salted, caramel latte for Sayrah." Steady Hand Future Mind Porter is a robust porter with 6% ABV. A rich, bready and biscuit character emerges, all layered with notes of cocoa, toasted almonds and toffee to balance the smooth, roasted espresso aroma and flavor. 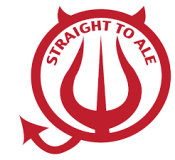 Straight to Ale Datin' the Devil & Raisin' Hell. We partnered with our in-house distillery Shelta Cavern Spirits to age our Laika Russian imperial stout in fresh rum barrels. We then infused this complex beer with fresh raisins and dates. Dark fruits, chocolate, vanilla, and a slight roastiness and sweetness are all present in this one-of-a-kind beast of a cask. SweetWater Salted Caramel Imperial Stout. This 12.7% ABV stout was aged in a Heaven Hill barrel for two years. Caramel and pink Himalayan salt provide both sweet and savory flavors that complement the cask ale's boozy finish. 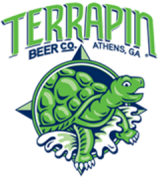 Terrapin Beyond the Galaxy & Beyond is our 100% Galaxy hopped IPA with an additional dry-hopping of Galaxy in this special cask. The extra hop addition truly takes this beer "beyond the galaxy." Three Taverns Vanana Ooh-Na-Na. This 10% ABV dark ale is thick in mouthfeel and complex on the palate. This cask version of our Belgian-style imperial stout, the 2019 Theophan the Recluse, offers bold flavors and aromas of vanilla, banana, and coffee added to the cask. Torched Hop Double Dry-Hopped Hops De Leon. This unique version of our flagship IPA was double dry-hopped with Citra. Our intense dry-hopping regime creates massive notes of citrus and tropical fruit. This West Coast-style IPA is well-balanced and highly drinkable. Twain's Older & Weizer is a 7.9% ABV bourbon barrel-aged weizenbock with maple wood and notes of bourbon, oak, caramel-coated apples, banana, clove, and toast. We did a pro-am collaboration with heavily awarded homebrewer Ryan Stansbury, aged his signature weizenbock in a Buffalo Trace barrel, and then packaged the beer in a cask with maple wood. Two Tides Brewing Take Me Back Again is a 7.5% ABV, zero IBU imperial sour ale that's a version of a beer we recently brewed to commemorate a not-so-recent trip to Thailand. Co-fermented extremely warm with Norwegian Kveik yeast and two strains of Lactobacillus brevis, this cask was conditioned on kaffir lime leaves, lemongrass, and galangal for a tart northern Thai vibe. Variant International Taste Station is a 10% ABV maple, coffee, and vanilla imperial stout with deep, rich notes of dark malts and espresso with a lovely touch of maple goodness. Wild Heaven Altair IPA features a bright hop flavor without bitterness from Mosaic lupulin powder and generous additions of Citra and Idaho 7 hops. This special cask holds a hefty dose of extra lupulin powder for increased hop intensity. 6.2% ABV. Wrecking Bar Oatmeal Cookie Porter. This is our house porter conditioned atop rum-soaked raisins, cinnamon sticks, and vanilla beans. Literally like an oatmeal cookie, but in a beer! 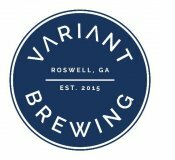 Roswell's Variant Brewing continues to churn out a huge range of exceptional brews. Visit the taproom to sample Dark Alchemy Oatmeal Stout, Norcross Street IPA, Valerie Anne Saison, and juicy, hoppy brews such as Aromasphere NEIPA, Cashmere NEIPA and Ethereal Material IPA. Variant also offers an extensive range of one-off brews and "variants" for each season. 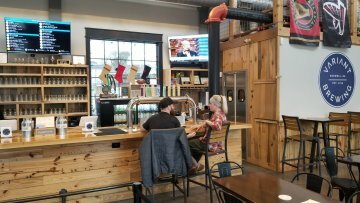 Variant's tasting room offers a bright, airy, friendly atmosphere with taster trays featuring five ounce pours of any of the amazing house beers. 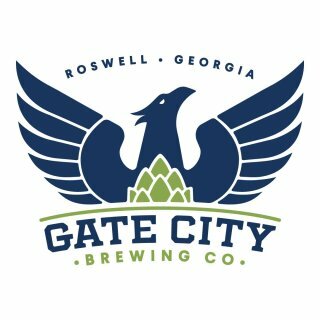 In making an evening of it, the exceptional Gate City Brewing and Mac McGee pub are both just a short walk from Variant in beautiful downtown Roswell. Brewed as a fundraiser for the victims of Hurricane Michael and the disaster relief fund in Florida, Rebound Lager offers up a malty, easy-drinking character that's sure to please. 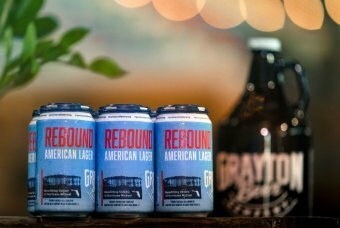 "It will take years to rebuild some semblance of normalcy in the areas that were hit hardest by Hurricane Michael,” said Jamey Price, Founder/President of Grayton Beer Company. We are committed to doing our part to help and were fortunate to have a beer that was ready for packaging and a team that could pivot to a new label in less than one week." 04/07/2019 - 24th annual CLASSIC CITY BREW FEST, Athens, GA. 55+ special cask ales, local draft beer booths, food truck, special treats bottle share table! 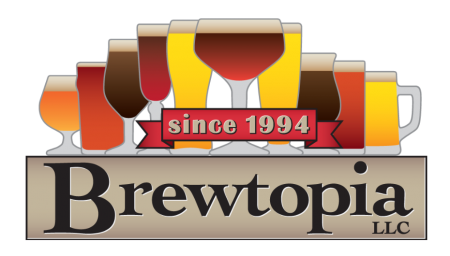 Named by Beer Connoisseur Magazine as a "Top 20 US Beer Fest for Beer Geeks!" Get TICKETS. Owen Ogletree and Pete Dasher head to Amsterdam to check out the new craft beers of the Netherlands and compile a report from the Jopen Brewery housed in a beautiful old church in Haarlem.